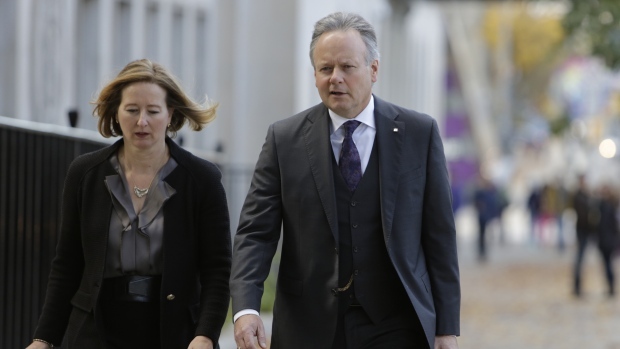 The Bank of Canada (BoC) today maintained its target for the overnight rate at 1 1/4 per cent. The Bank Rate is correspondingly 1 1/2 per cent and the deposit rate is 1 per cent. 1.) NAFTA negotiations and the difficulties that Canada is having in these negotiations. 2.) Statistics Canada data showed that the job market lost 88,000 positions in January. 3.) Final GDP numbers for 2017, which showed the economy grew at a 1.6 per cent annual pace in the last six months of 2017 — less than half the pace of growth seen in the first half of the year. 4.) Home sales plummeted 15 per cent in January compared to the same month a year earlier, and early signs for February show the slowdown may be picking up speed. A central bank hikes its rates when inflation is rising too fast in a quickly growing economy. It cuts when it wants to stimulate growth. Right now the BoC is standing still, waiting and watching.